Because both my husband and I had work on that day, we were not able to see Justin’s photos on the billboards mentioned. 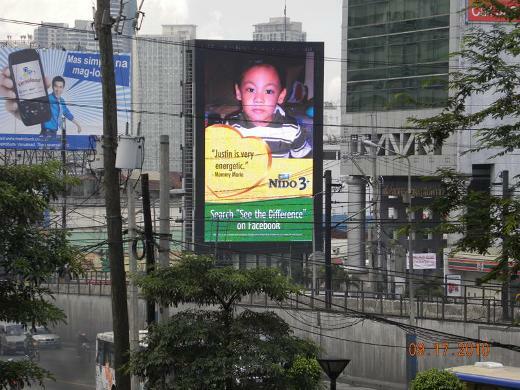 Good thing, NIDO sent us a copy of our son’s billboard photos. I wasn’t able to upload these photos on my blog earlier because I actually didn’t notice that NIDO’s most recent email had attachments. LOL! Only when I saw Chris’ post about Toby’s appearance on the NIDO 3+ digital billboard did I remember to check my email again. True enough, the photos are there, attached in that email. Why, oh, why did I fail to notice that? Thank, you , NIDO, for giving my son a chance to be in the spotlight, and thank you for making me a proud mama, too! 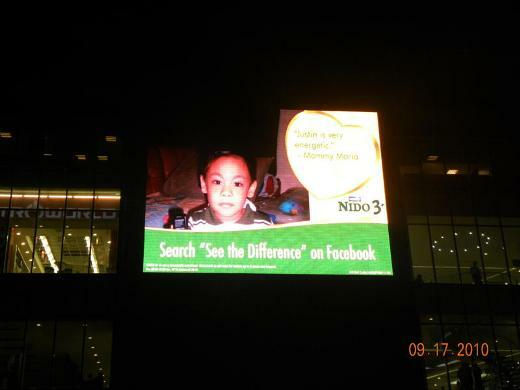 This entry was posted in NIDO, See the Difference Billboard Promo. Bookmark the permalink. Wow! Congrats to your son…I should double check the email they sent me…baka andun din yung pic ng baby ko….thanks for the info! congrats sis.. galing.. at least, naging billboard star ang son mo minsan.. hihi. Wow! Sikat na your son! Wow naman, Justine in the spotlight! congrats!